Inman aligners are a revolutionary short term orthodontic treatment that focuses on straightening the front teeth for fast and effective alignment. 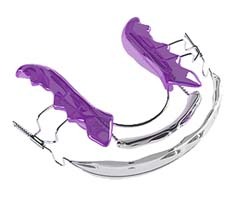 The appliance is removable which enables the patient to easily take the aligner out for brushing, eating, and drinking. This can be an ideal treatment on its own, or even before another cosmetic treatment is undertaken to perfect your smile. The Inman Aligner has been designed to work with gentle forces to gently glide your teeth into their new straightened position. This is achieved by using Nickel Titanium coil springs to power the opposing aligner bows, that will guide your teeth in the straightening process. This system allows for a large range of movement which enables the Inman Aligner to work quickly and effectively. How Quick Can Treatments Be Completed In? Cases can be completed as quickly as 6-18 weeks (case dependant) and at the free consultation we will be able to assess and examine how long your specific case could take. What Is Involved With Going Ahead With The Inman Aligner? The initial step will be to have a free consultation so we can asses if this is a suitable treatment for you (if not we will always discuss other suitable options). When you decide to go ahead with treatment, we will take impressions of your teeth which will be sent to a dental laboratory to custom make your Inman device. When the device has come back, we will have you back in to put the Inman Aligner device in. We will need good patient compliance as it is a removable brace, and it will need to be worn for at least 16-20 hours a day. Every 2-3 weeks we will have you back in so we can monitor and check the progress. When we are happy that the results have been achieved (the exact time will vary from patient to patient) we will then have a retainer made to ensure your new straight teeth are protected from a relapse. 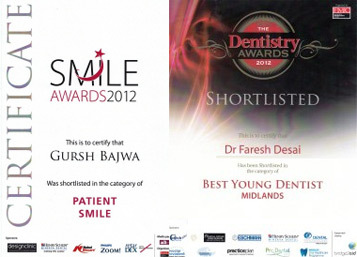 If you are interested in finding out if this short term orthodontic option is suitable for you, please do not hesitate to call us today and book your free consultation.